During this week’s episode of Off the Vine President Karissa Kruse and The Drive Host Steve Jaxon welcome Carolyn Wassem the Senior Vice President of External Affairs at Jackson Family Wines (JFW). Wassem discusses the unique sustainable vineyards that Jackson Family Wines owns across the world, as well as the committment to sustainability Jackson Family Wines has made. 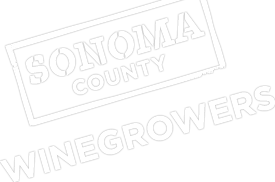 Earlier this year JFW made another committment to pay a premium for sustainably grown grapes here in Sonoma County.